I’m trying out Bottlenose, a new service in beta that billing itself as a “social media dashboard” promises to help you filter your incoming and outgoing social networking streams. So far, the service only lets you feed in Twitter and Facebook. 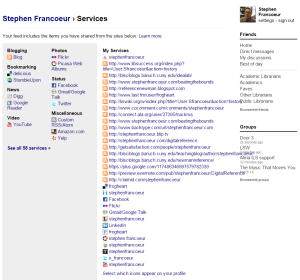 I’m hoping that they soon add Google Reader, Google+, and FriendFeed. As you can see from this screenshot, the service automatically analyzes content and tries to assign meaningful tags to categorize them; in this screenshot, I clicked on the Q&A tag and was shown all my tweets where I asked a question. If you’d like an invite, leave a comment here on this post. I’ve got 10 to give away. 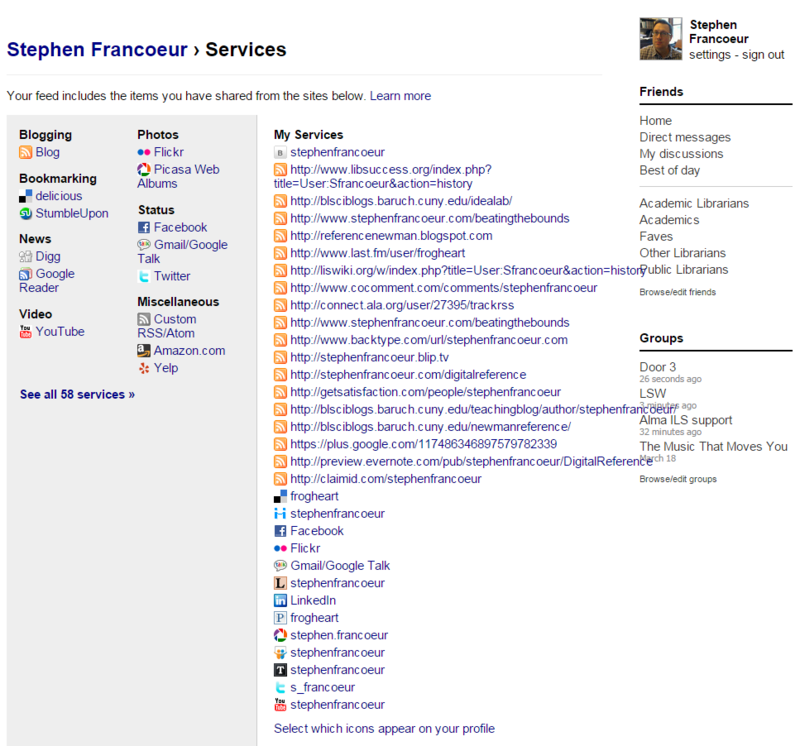 CUNY has been experimenting with a social network built on BuddyPress. I just signed up and am exploring to see who else from CUNY is here and what they’re doing with it. Here’s my profile.